Two weeks ago, Samsung took the wraps off their much-anticipated Galaxy S9 flagship. Preorders opened on March 2 with official retail availability scheduled for March 16. As usual, several of the US carriers have begun shipping the devices ahead of schedule. Last week, Sprint began shipping out devices to a few lucky customers. Today, T-Mobile appears to be joining the party. A number of users across Reddit and several Android forums reported that Sprint began shipping their Galaxy S9 preorders on March 8. While some of these never saw origin scans, today several phones have shipped with actual scan activity and estimated arrival dates from UPS. The arrival dates seem to vary between March 13 and March 14, depending on the shipping option selected at the time of preorder. 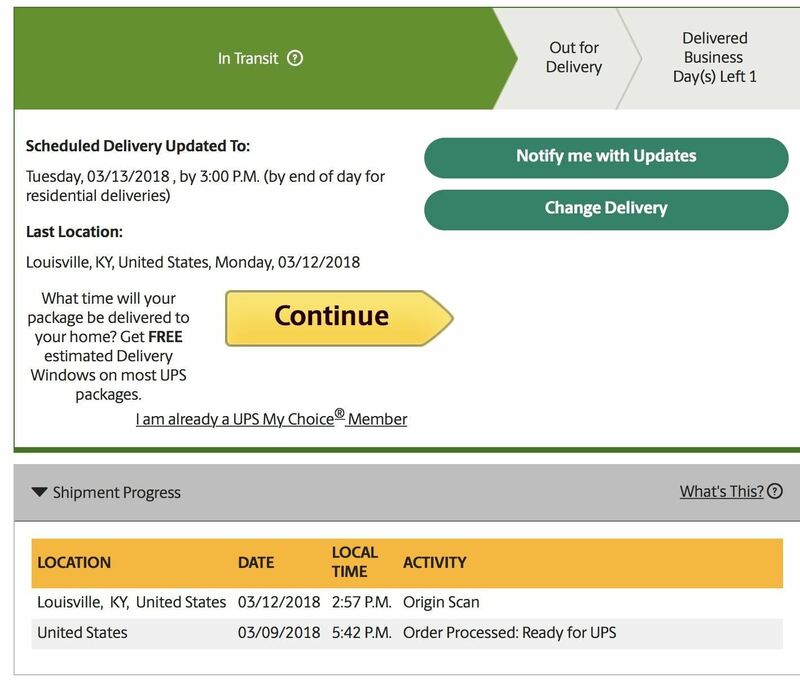 We ordered a Galaxy S9 and S9+ unit from T-Mobile and received destination scans out of Louisville, KY earlier today. Both our Coral Blue S9 and Lilac Purple S9+ are scheduled for delivery on Tuesday, March 13. It appears that anyone who chose overnight or 2-day shipping from T-Mobile will receive their new phone on March 13. More recent user reports seem to indicate that the unlocked Galaxy S9 and S9+ models are starting to ship. This isn't the case for all orders of this type, but a good amount of users have received shipment notifications. At this point, there is no word on whether Verizon or AT&T will follow suit and ship the devices early. While T-Mobile is typically one of the first carriers to ship, we imagine the other retailers will get preorders out fairly soon. You can stay up to date on which carriers/retailers have shipped in this Reddit thread. Has your preorder shipped yet? Let us know where you ordered the device in the comments!